Kevin Briggs is a retired environmental consultant who has been studying Oystercatchers in the Lune Valley for over 40 years. His talk will illustrate the changes which have occurred to Oystercatchers, Ringed Plovers, Goosanders and Yellow Wagtails, and the habitats they use. We meet in the Derby Room upstairs at Leigh Library at around 7:15pm for a 7:30pm start. Everyone is welcome and entry is free, although would appreciate it you'd buy a raffle ticket or two. Do come and join us, bring a friend, and perhaps become a member. Just ask one of us on the door for information on how to join. Well what a superb slide show and lecture. The time and dedication Kevin Briggs has put into his patch in the Lune Valley, opened my eyes completely. 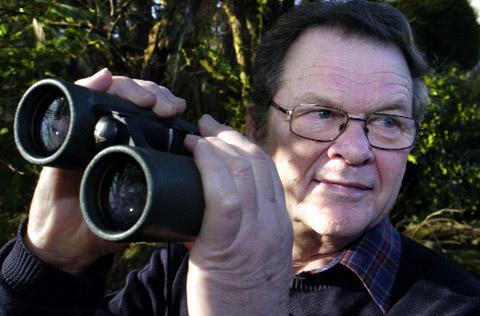 He has gathered so much evidence over 40 years on the decline of bird species it's untrue. Counting Cow pats, the number of flies on a Cow pat. Not only that sifting through Cow pats and meticulously counting every bit of life within a Cow pat just touches on his dedication. Even counting the number of Earthworms an Oystercatcher eats and the amount of calcium within that same amount of Earthworms are just touching on his work. I learned so much tonight. That was probably the best I have seen at the Derby Rooms in terms of fact and information. Well done Kevin, and I hope you come back again soon. 10/10.